Want an easy way to dress as Georgiana, Duchess of Devonshire? Kimberly writes: I long to blog more here at Georgiana Circle. Time and other blogging responsibilities get in the way. I am still exploring Jane Eyre. Which, I feel somewhat guilty about. I enjoyed promoting Georgiana of Devonshire as a real-life, woman political figure. Though, I suppose someone should promote Charlotte Bronte, real-life woman author. There is a slight air of desperation in the small Camden Head theatre. Desperation of various Bennet sisters looking for a suitable husband, desperation of the Brontes trying to make a living by their pen while keeping their anonymity and the more immediate desperation of comedian Grainne Maguire who has realised that the ten-person audience won’t be growing and it’s time to start the show. Rorie Kelly: Should women have to lose weight to succeed? The costumes for the movie “The Duchess” were gorgeous and detailed. 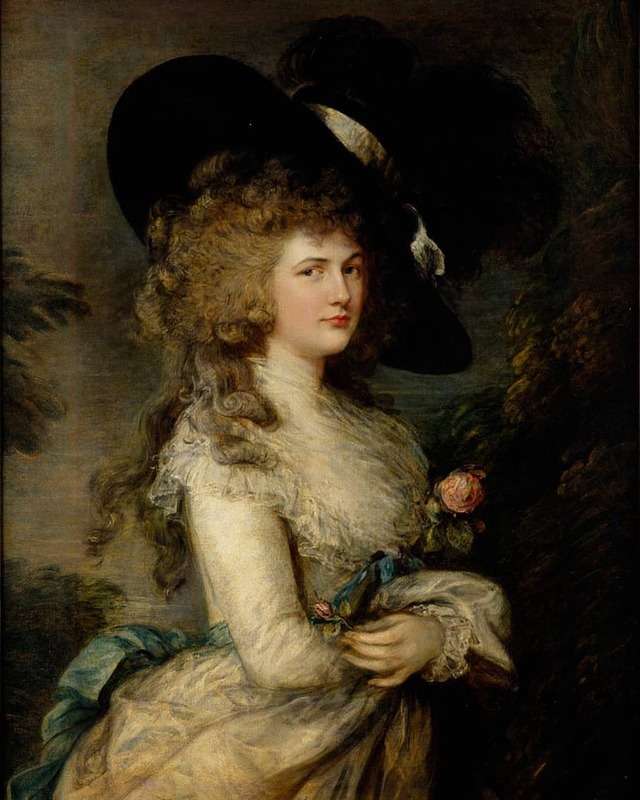 The subject of the movie, Georgiana the Duchess of Devonshire, nee Lady Georgiana Spencer, was known for being a fashion plate, and for using fashion in the service of politics. So, it is only appropriate. At the movie web-site, you can see the costumes, created by Michael O’Connor, in unique windows with the ability to zoom in and turn the costume around. If you want to see some pretty 18th century style dresses, you should click on: here. There is also an interesting dress, with a military flavor, which shows how Georgiana would dress up in the colors of her party, the Whig Party. So, now, The Duchess has received the Oscar for “Best Costume.” Very nice. Hope it brings attention to the story of Georgiana. She was a fascinating woman. Do you wonder what Georgiana would say about the fact that the movie portraying her life, and her character as “The Empress of Fashion”, won an Academy Award for Best Costume? With Georgiana, the answer is easy. Hope you will browse the Georgiana Circle web-site, and leave any of your thoughts about Georgiana, the movie, the Academy Awards, or 18th century fashion. I stumbled across this piece when doing on-line searches for Georgiana. The auction site is: here. It is a beautiful painting of Georgiana, done after her death, but based on the 1787 original from Thomas Gainsborough. A wonderful tribute to Lady Georgiana Spencer, ancestor to Princess Diana. Lady Georgiana Spencer later became the Duchess of Devonshire. The movie “The Duchess”, based on the life of Georgiana, The Duchess of Devonshire, was nominated for some Oscar Awards: art direction and costume design. The story is at Ohio.com. It was surprising to me, and to at least one other commentator, that Ralph Fiennes was not nominated for an Oscar. Fiennes’ excellent performance as the Duke of Devonshire had earned him a Golden Globe nomination. The story is at the Philipine Daily Inquirer. An interesting story about Oscar surprises and upsets.